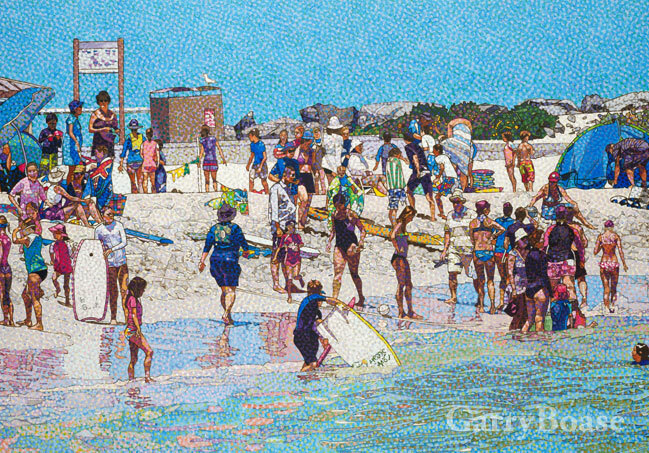 We have been collectors of Garry Boase’s inspirational art for more than 20 years. Our whole family may be the most avid fans of his work, which is proudly displayed in our homes. The cross-generational appeal of Garry’s work interests us, because as collectors, we know that what we purchase is highly valued by our children and now, our grand-child. It is a particular honour to know an artist of his calibre and to have been invited to various exhibitions in Western Australia where his prize-winning paintings have been displayed.